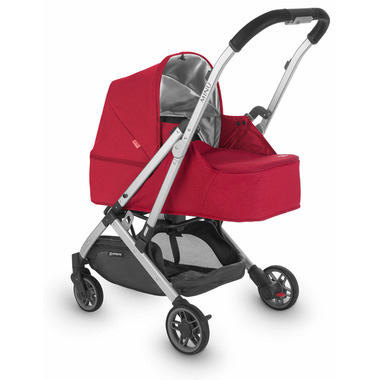 Transform your UPPAbaby Minu Stroller into a pram ideal for your newborn. This Birth Kit Bassinet allows your baby to lie completely flat. This bassinet includes a removable mattress. The Minu stroller can easily fold with the bassinet attached as well! For use with infants up to 20lbs. Please Note: Stroller is sold separately here.